A recent study found that osteoporosis related fractures are the major cause of hospitalization in older women. This study, published on December 3, 2014 in Mayo Clinic Proceedings, included women who where aged 55 years an older at time of hospital admission. The authors examined reasons for admission and compared osteoporosis related fracture admissions to heart attack, stroke, and breast cancer admissions. They found that from 2000 to 2011 there were 4.9 million hospitalizations for osteoporosis related fracture, 2.9 million for heart attack, 3.0 million for stroke, 0.7 million for breast cancer. The annual hospital facility cost for these hospitalizations were found to be $5.1 billion for osteoporosis related fracture, $4.3 billion for heat attack, $3.0 billion for stroke, and $0.5 billion for breast cancer. To be honest when I first saw the paper’s title I thought the older women were at least 70 years. I was shocked that for even women aged 55-70 osteoporosis related fractures are the major cause of hospitalizations. While I would believe that osteoporosis related fracture was a large source for hospitalizations in women over 70 I would have never believed it is a higher source over a heat attack, stroke, or breast cancer. It might seem that, compared to breast cancer, a fracture is a rather minor thing but it really isn’t. I have read that the 30-day mortality rate after hip fracture is about 9 percent. It rises to 17 percent if the patient already has an acute medical problem. If a patient has heart failure while being treated for a hip fracture, the 30-day mortality increases to 65 percent. If a patient has pneumonia after a hip fracture, the 30-day mortality increases to 43 percent. By itself an osteoporosis related fracture carries little risk for mortality but if you are unhealthy to begin with and suffer a fracture your risk for complication including death quickly rises. Beyond the impact on our health and well being, suffering an osteoporosis related fracture has a large impact on our healthcare system. If our society keeps going the way we are, we will have problems with affording the care we need as we age. There are parts of the world were rationing care is being discussed if not already being implemented. 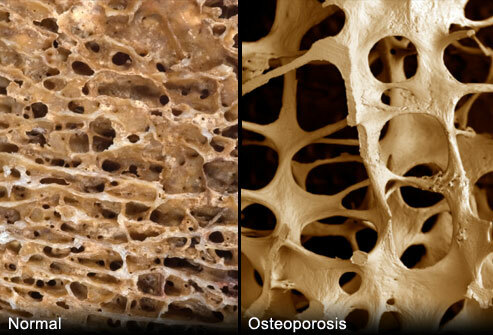 Osteoporosis is an avoidable condition and a condition that can be reversed without pharmacological management. You can avoid a fracture by engaging in a change in your lifestyle that includes, but is not limited to, increasing the amount of strength training you are doing. Bone responds to an increased load (Wolfs Law) and muscles are attached to bone. When you strength train, there is a strain on bone tissue and that bone tissue responds by building more bone tissue. While strength training early in life, before age 25, is the best time to build bone tissue it is still possible to increase your bone density at any age. Our BStrong4Life program is ideal for anyone at any age including postmenopausal osteoporotic women. We recently had a BStrong4Life client who had a 9% increase in bone density, she has only been doing BStrong4Life for 6 months. This paper was a big eye opener for me, I knew osteoporotic fracture accounts for a large amount of injuries in older women but I did not realize by how much. If you are looking to reverse your chance of developing osteoporosis and becoming one of these statistics, give us a call. We give a complimentary clinic tour and demo of BStrong4Life to anyone interested.